Would it be possible to use the depth buffer to calculate a rate of change and apply a blur when it reached a set speed? Maybe even a directional blur depending on what direction the "camera" is moving and a heavier blur depending on speed? Not sure if that's possible with the depthbuffer alone. I had the idea to provide access to previous frames in the future (not only the current one), so to calculate the difference between the two images, which then maybe could be used as a velocity replacement to create motion blur. But those are only ideas, I don't know if that would work out. Ah, ok, that makes sense, you would need the previous frames to calculate the change. Damn. While it's impossible to achieve "real" motion blur (which only affects moving objects) even with access to previous frames (I don't see a way to calculate pixel velocity just from color data, so what I said before doesn't make sense), there is another way, besides blending multiple frames together (no real motion blur either, though some people title this "motion blur" too). 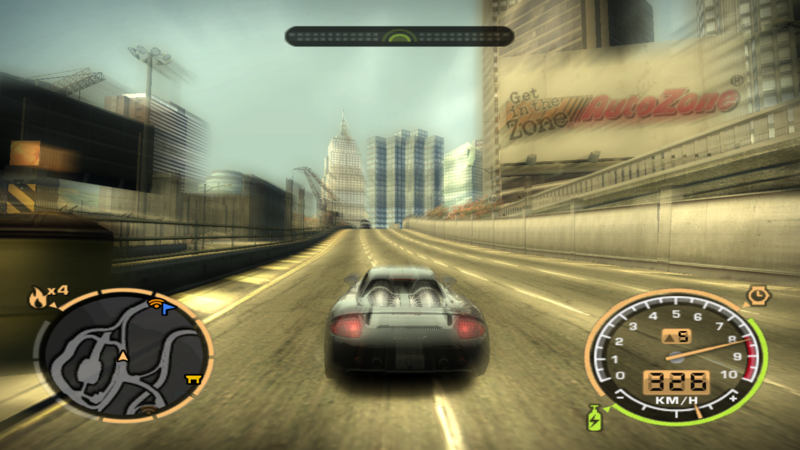 Anybody remembering the motion blur in Need for Speed Most Wanted? This one is actually very very simple to implement (it doesn't exactly look great, but oh well). It's a simple radial blur post-processing effect, nothing more. How is the motion blur in ENB achieved, then? The old version detected camera rotation and velocity and applied a fullscreen directional or radial blur. The new version is depth buffer affected, and blurs things more the closer they are to the camera. It was gorgeous. Don't worry, you will get exactly that with the upcoming ReShade framework. However, Crosire is right, with post processing we can only estimate velocity values.